Gutter Culture: Tell us about your show - circus, theatre, clowning and crabs sounds like a bit of a trip. Sven Hopla: I think that's a fair assessment, anything that at some point said to itself "what this show really needs to work is crabs" deserves the moniker trip. It's a little hard to describe because there's so many moving parts to it but I basically I took work I'd done, and things I'd created but were a bit much for a straight circus show, and bolted them all together under an abstract narrative. So there's dance and meta-comedy and acrobatics and auto-biographical anecdotes but none of them define the show and even though they're quite distinct I worked really hard to make them all flow together. So it's greater than the sum of it's parts, like Frankenstein's monster. GC: What sets your show apart from other circus comedy acts? SH: At the risk of semantics, there's not really any circus comedy in the show. There is comedy, but it's the clowning and stand-up, and there is circus but it's all used during the more serious moments of the show, the two kind of run parallel lives within the same performance without ever really meeting. Like that movie Sliding Doors with Gwyneth Paltrow, did you ever see that? Yeah it's not that great probably don't bother. If you pushed me I'd say the absurdism probably sets it apart. Most comedy is in circus is pretty straight faced, which is ironic considering how absurd the lifestyle itself is. Image courtesy of FRINGE WORLD. GC: How did you put the show together? With a blended style have you found it challenging to balance the performance? SH: Generally I'll come up with all the skills based pieces first, tie them together with a script and then tweak it until it all makes sense. The more work I make the more I'm of the belief that it's your transitions that make the difference between good and great, it's the parts in between that really make a show. If you can take the audience from one place to another without them noticing you can basically put in whatever you want and get away with it. Which is what I've focused on doing with Fisticuffs, it doesn't make sense on paper but it works in the theatre. GC: Personally, we love clowns, but they do get a bit of a bad rap. Why do think this is? SH: Two words my friend. Stephen. King. GC: Anything else you'd like our readers to know? SH: If you come to the show I'm really sorry for what I put you through from about minute 15 to 40 but we'll all be friends by the end of it I promise. 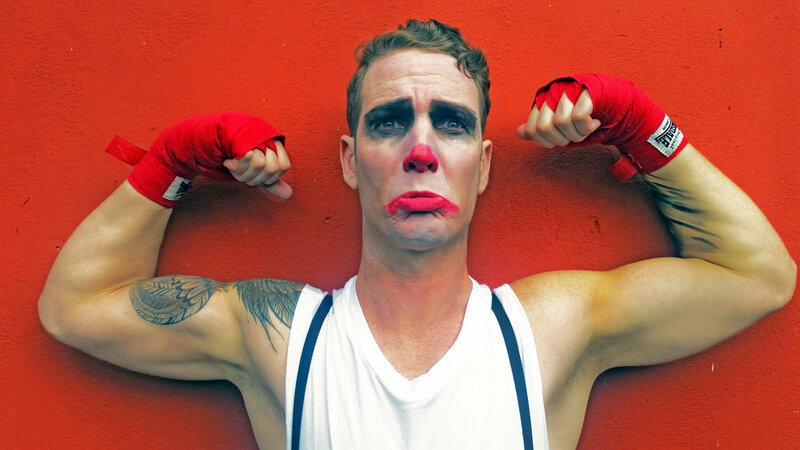 Fisticuffs runs from February 14 to 17 at the Black Flamingo. Tickets available from the FRINGE WORLD website.